This is our new little ewe lamb "Lily". 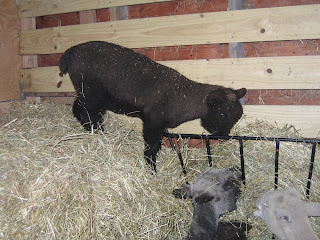 She got frustrated trying to get to the hay and decided to problem solve her way, she went high. I just happened to be walking into the barn and had camera in hand and caught this shot of her. She is quite the problem solver and very smart!